The bible says that Moses was raised in Egypt. He killed an Egyptian and escaped from the land until he was called to return to Egypt to deliver the descendants of Jacob from the oppression of the pharaoh. The attention of this entry is not on Moses, nor is it on the children of Israel, but rather towards the pharaoh himself, the antagonist of the story. If the bible is true, then who is the pharaoh of Exodus? Here we have the Bible versus the history of Egypt. If the story in the bible is true, then we would have its timeline aligned perfectly with the historical record of Egypt. Attention: This entry contains blasphemous content. We are familiar with King Tut, King Seti I, Seti II, Ramses I, Ramses II, Tuthmosis, etc etc. 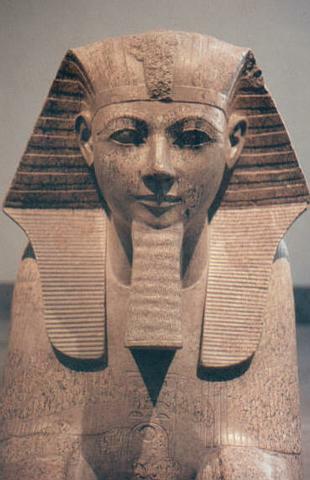 Altogether there were approximately 322 known pharaohs in Egypt. There were many more who were chiseled off from history, be it from vengeance or murder, we will never know. 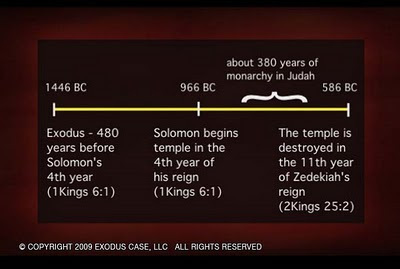 1 Kings 6:1 states that Solomon began building the Temple in the fourth year of his reign, 480 years after the Exodus. Most bible scholars agree that the fourth year of Solomon's reign was 967 B.C. 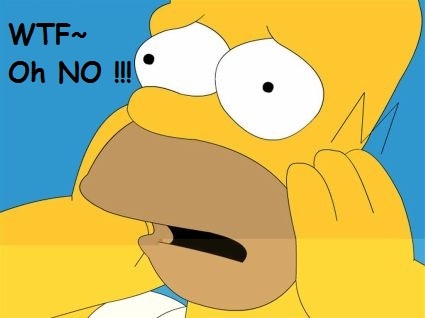 So the date of the Exodus can be calculated: 967 + 480 = 1447 B.C. The bible says that the Pharaoh whose daughter adopted three-month-old Moses died when Moses was nearly 80 years old, meaning that the Pharaoh of the Exodus reigned for over 80 years. Pepi II, who ruled for 90 years, is the only pharaoh who meets this requirement. 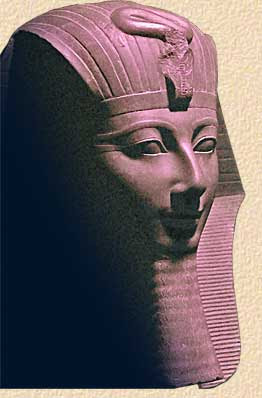 Bible scholars generally agree that Ramses II is the pharaoh mentioned in the bible. 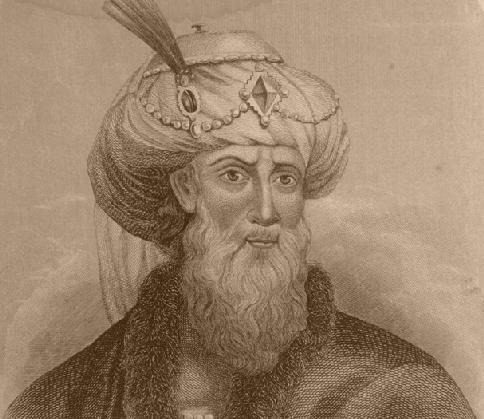 He built a royal city named Pi-Ramesse, many just assume him to be the pharaoh of the Exodus. However recent excavations at the site indicate that this city was occupied much earlier by the Egyptians. There is no way Ramses The Great could be the pharaoh that drown in the red sea. If he had drown, he wouldn't have a mummy at all for his body would have been swept away into the sea. And according to history, Pharaoh Ramses II did not begin his reign until around 1290 BC, which is much later, so he couldn't have been the Exodus pharaoh. King Amenhotep III, who fathers King Akhenaten, was also one of the candidates, though the suggestion was soon lifted for lack of evidence. Ramses I died during year 2 of his reign, which is consistent with the content of the bible, and his time is also consistent with Moses's appearance in history; 13th century BC. Is Ramses I the pharaoh we're looking for? Already an old man when he took over the throne, Ramses I probably died of old age. The evidence? Well his grandson, Ramses II has already been born during his accession. The pharaoh in the bible who chased after the Israelites drown in the red sea, so Ramses I is NOT the pharaoh we all are looking for. 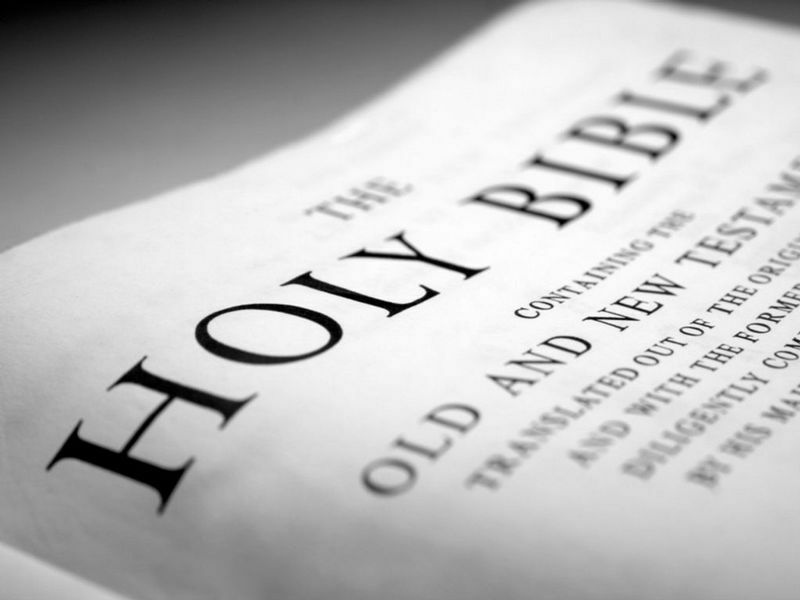 If the history is correct, then is the bible wrong? We all know that Egyptians are smart. 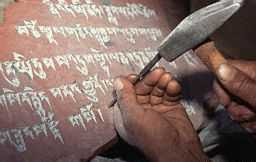 They have their own calendar, they are very skilled in astronomy, mathematics, language. They built the pyramids. They respect women; there were three female pharaohs in their history; Hatshepsut, Nefertiti, and Cleopatra, and woman have equal rights as man. They had everything recorded down systematically, and so there is little probability that their chronology is wrong. Moreover, their chronology is supported by carbon dating. 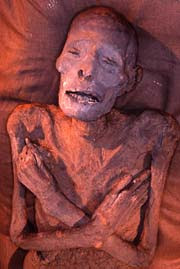 Mummies are carbon-dated to verify the date of their death, and the technology is consistently accurate. The first five books of the bible were written by Moses; Genesis, Exodus, Leviticus, Numbers, Deuteronomy. How can one person remembers the history before him so well? He escaped Egypt for forty years, how could anyone guarantees that he remembered the date correctly? I, for one, seriously doubt that. He wrote the story of Genesis, Noah's Ark, Abraham and Issac, etc etc. It's a miracle he could remember all of them so well. Thus it is not surprising if he'd made some mistakes especially in terms of the date and the sequence of pharaohs. His arguments are ludicrous, as they are made based on assumption. There is no evidence in the bible to prove that Moses had led an Egyptian army against the Ethiopians. Moreover, he also included that Hatshepsut co-reigned with her husband Tuthmose II and became the pharaoh of exodus, though actually she co-reigned with him for three or four years before Tuthmose II died from a skin disease. 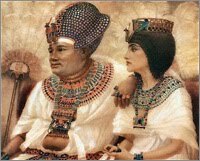 She then took over for the next 17 years as the sole ruler of Egypt until her death, allowing her nephew Tuthmose III to ascend the throne and chisel her off the history book. One thing is for sure: Josephus's arguments are made in agreement with the bible, and pathetically skewed to align itself with historical record. We will never find the pharaoh mentioned in the bible. Scholars have browsed through the entire chronology of egyptian kings from the 15-13th Century BC and found no one that fits the criteria in the bible. Then I ask: Is the Bible wrong, or is it something wrong with historical record? lolx, still say u drifted apart fr the bible? but u've so much knowledge bout bible, n it's reli wonderful that u shared. though i lost track of who is who, as there are so many names n dates etc, but u remembered it all, n that rings the bell, mayb the pharaoh does have the super memory? I think the Author shall also consider reading Islamic literature and all of his doubts will be cleared. I agree to the above poster and Ramses II is the pharoh. Remember Bible is not in it's original form and has many much alterations by humans. The Hebrew Bible is not in error. Copies of every single Pentateuch scroll from all over the world have been brought to Israel since its founding. Over the last 2000 years there is only a discrepancy of 9 Hebrew letters total amongst all these scrolls of the Five Books of Moses. That is amazing accuracy for a document that has traversed the globe for about 1900 years. Pepi II is probably the ruler of the Oppression since according to the Book of Yashar, a historical book about the Bible, the Pharaoh of the Oppression ruled 94 years. Pepi II ruled 94 years according to all Egyptologists. So the number of years does match. The problem is the dating. Pepi II lived between 700 and 900 years before the accepted date of the Exodus. Pepi II had a son who was a dwarf named Adikam who ruled for 4 years who was the Pharaoh of the Exodus. Remember the text of the Torah says that the Pharaoh of the Oppression died, and Israel groaned and cried out because of their slavery (Exodus 2:23). Of course Pepi II was an Old Kingdom ruler who was considered to be the Bull god. The Semitic and Hamitic word for bull is Par, which is likely the source of the word Pharaoh. It would also explain when searching for a new leader when they thought that Moses had died, they constructed a god who was a calf (a young bull). Yet, again there is still that 700 to 900 year apparent discrepancy. Perhaps the Egyptologists are wrong, and that the rule of many of these monarchs overlapped. Joseph/Imhotep wrote GENESIS in the Egyptian that he introduced and when the Hebrews learned the language they inscribed GENESIS on the tomb walls as the Pyramid Texts. Moses plagued Egypt from 2012-2011 BC and led the people out 2011 BC. Moses took Joseph's bones, books out with him and rewrote them in Hebrew that he introduced. Hebrew is the text form of Egyptian the symbolic form. The KEYS to the Pyramid Texts are on my facebook page. Ok, got it Sir. Yehoseph was Imhotep a great vizier of the 3rd Dynasty Pharaoh DJoseer who interpreted dreams about a 7 year famine and who lived to 110 years. This means that the Exodus was at the very end of the catastrophic collapse of the 6th Dynasty of the Old Kingdom. Yet, I must ask. What does this have to do with Jesus who lived 2000 years after the Exodus?? Your calculation of the approximate date of the Exodus event is valid. However, your statement that the Pharaoh whose daughter adopted Moses died when Moses was about 80 years old is unfounded. 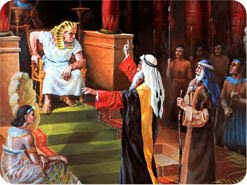 Nowhere in the Bible does it indicate that the Pharaoh at Moses' birth is the same king as the Pharaoh of the Exodus. 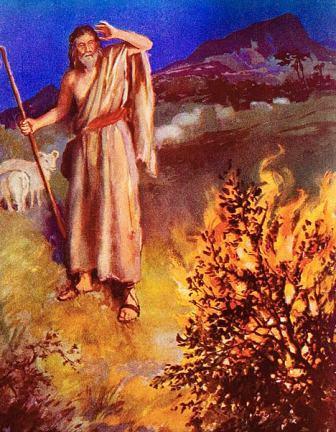 Indeed, in Exodus we read that at the burning bush God told Moses that it was safe to return to Egypt because those who sought to kill him were dead. Earlier in the book we read that Moses fled Egypt because Pharaoh sought to kill him. Logical conclusion: at least two pharaoh were involved in Moses' life! See Book of Jasher for details of the Exodus. The pharoh of the Exodus was a 24" dwarf, 2nd child who survided the Passover and Red Sea and became the King of Ninevah, Rootentooten. His younger brother took over as Pharoah Ramesses. Yes, Pepi II's 94 year reign is mentioned in that very book. His son, the two foot dwarf who ruled after him for four years is also mentioned as the Pharaoh of the Exodus. Where did this name Rootentooten come from? (sounds like a joke). How did he become King of Assyria after failing so miserably with his own kingdom in Egypt? Pepi II's full name was Pepi II Neferkare. He was the Pharaoh of the Oppression. Egyptian chronology dates have holes which expands the timeline. Its is 300 to 500 years out of sync with the Bible's more accurate dates and genealogy. Hence, look in Egypt for patterns of evidence, not dates!